We are proud, excited, and frankly ecstatic to announce our 2nd Annual Summer Giveaway here at GetVoIP! 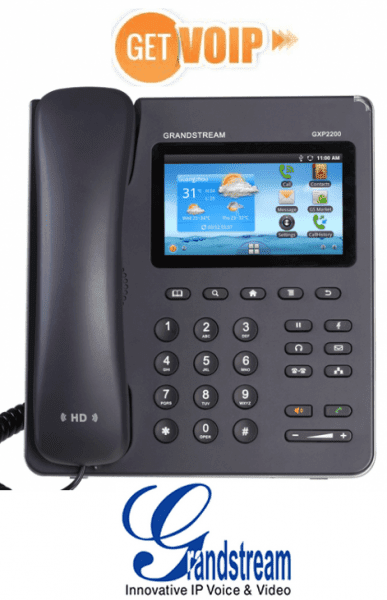 This year, all VoIP users who enter will be eligible to win a pair of Grandstream’s GXP 2200 Enterprise Media Desktop Phones. As always our giveaway contest is open to ANY and ALL US Based VoIP Users. That being said, the prize is a pair of business VoIP phones; therefore, we strongly implore Business VoIP Users to take advantage of this opportunity, to upgrade your business phone systems for free! 1) Submit to us your experience review of your provider here. 2) Like/follow us on any of our social media pages: Facebook, and/or Twitter. That’s it! You’re entered and you’re done. We again urge all users to get involved especially Business VoIP users. Grandstream’s GXP 2200 devices retail anywhere between $199.99 to $229.99 each; therefore, winning a set of these devices can really save you some green. The giveaway contest will kick off on June 11th and will end June 21st. After the deadline, we will randomly select a winner from all the US based VoIP user reviews submitted during the contest’s time frame. The winner will be announced across all our social media channels on June 24th. With that in mind, be sure you complete BOTH steps and check back for daily updates. In addition to our involvement, Grandstream will be sponsoring the contest giveaway directly, supplying the devices, as well as shipping them out to the winner. In the past we’ve had some great turnouts for our contests/giveaways, with over hundreds of entrants. The GXP 2200 is an Enterprise Multimedia Phone for Android, which features Android OS 2.3 and its vast number of 3rd party applications, a 480×272 capacitive touch screen TFT LCD, dual Gigabit network ports, integrated PoE and Bluetooth, HD wideband audio, superb full-duplex hands-free speakerphone with advanced acoustic echo cancellation, and excellent double-talk performance. Additionally, this enterprise application phone also features broad interoperability with most 3rd party SIP based devices, IP PBX, and major IMS platforms. Read our editor’s expert review on the Grandstream GXP2200. The wait is over! This giveaway has ended and a winner has been selected. Thank you to all 64 entrants that have participated and submitted a review of your current VoIP provider. 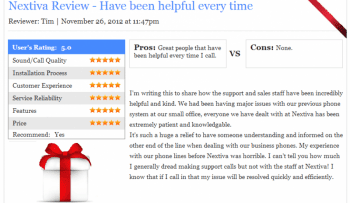 There is no doubt that your feedback will indeed help others that are currently searching for VoIP. 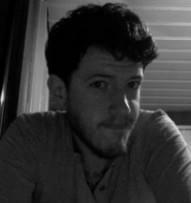 Brian – Further instructions on claiming your phones will be emailed to you.